Battery powered via 4 alkaline batteries type LR6-AA. Fixing holes and screws on the base and back planes. Quality standard certified ISO 9001:2008, RoHS y CE. New touch keypad and stealthy LED display, activate with hot key. 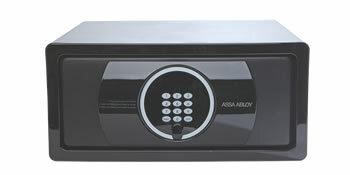 The top opening allows an easy access to the contentNew touch keypad and stealthy LED display, activate with hot key. The top opening allows an easy access to the contentInstallation in existing drawer or flush mounted. 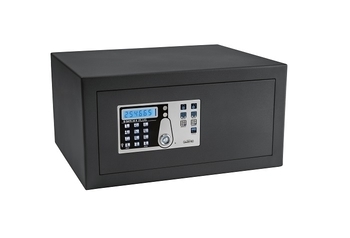 Safe 10E Plus is compact and ideal where space is limited.Safe 10E Plus is compact and ideal where space is limited. 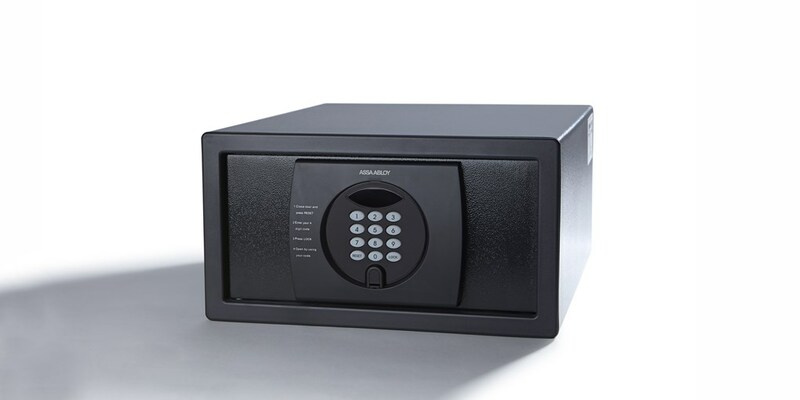 Equipped with an internal LED light, flush keypad, backlit display and an internal mat, Safe 10E Plus keeps your valuables protected thanks to a triple safety system. 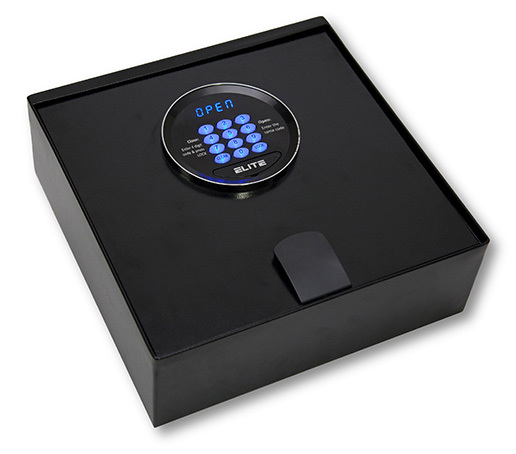 Safe 10E Plus is also available with internal universal socket to recharge devices kept inside.Finally the Smart Box version of Safe 10E Plus allows storage and analysis of the last 300 openings made by users. 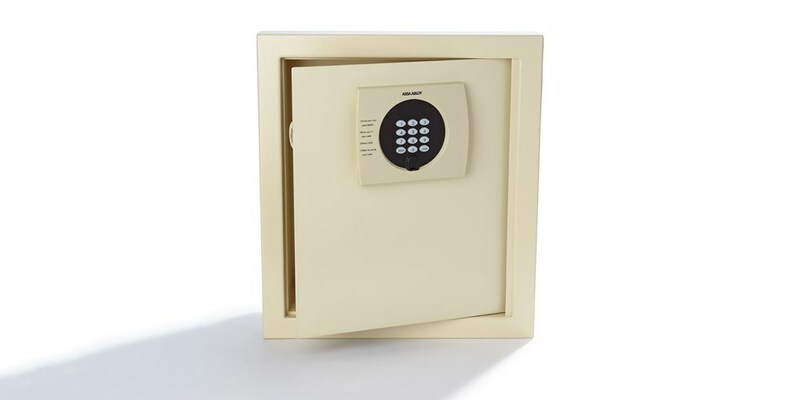 Safe 30 Plus is designed to accommodate laptops up to 15 inches.Safe 30 Plus is designed to accommodate laptops up to 15 inches.Equipped with an internal LED light, flush keypad, backlit display and an internal mat, Safe 30 Plus keeps your valuables protected thanks to atriple safety system. Safe 30 Plus is also available with internal universal plug to recharge devices kept inside.Finally the Data Kit version of Safe 30 Plus allows storage and analysis of the last 300 openings made by users. 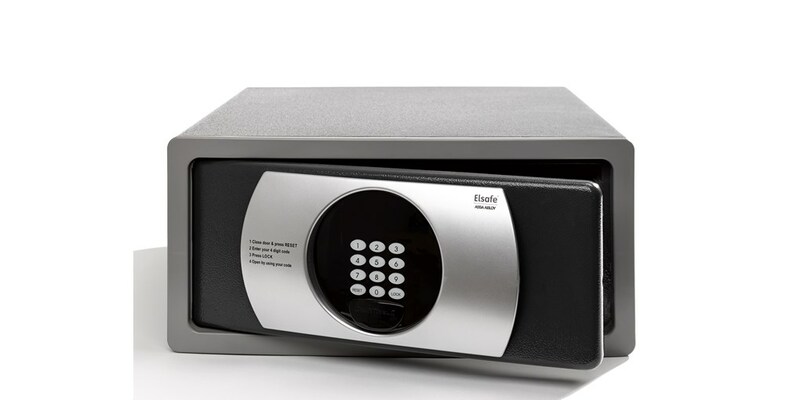 Elsafe Infinity II is a new era in in-room safes and is ideal for the most demanding lifestyle brands and properties that thrive to be different. By combining sophisticated technology and fashionable design, Infinity II is the ultimate safe for the design conscious. 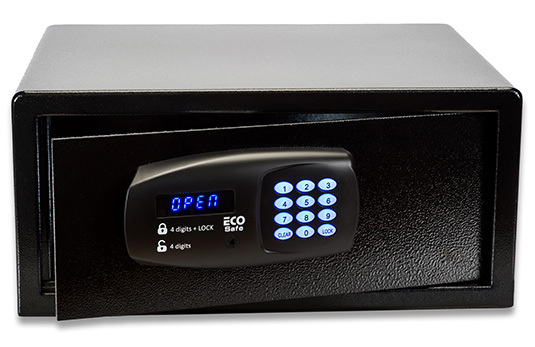 With it ́s silky, stylized design and high-tech neon blue backlit keypad (digital only), combined with Elsafe’s industry leading high quality safe platform, Infinity II brings richness to the room like no other safe before. 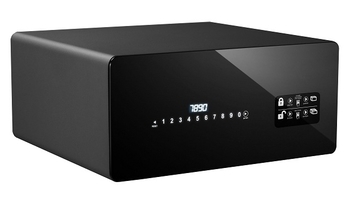 Elsafe goes beyond the ordinary with its new Sentinel II in-room safe series. 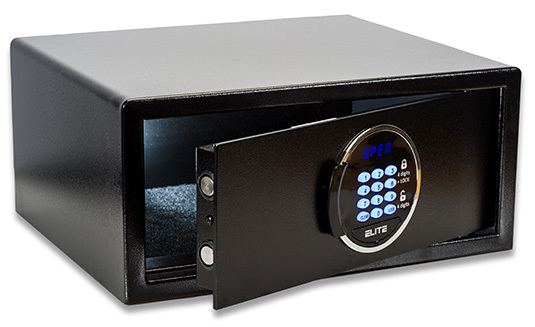 We have taken in-room security to a new level and combined it with a functional and trendy design.Sentinel II delivers the same unmatched security standards Elsafe is known for. 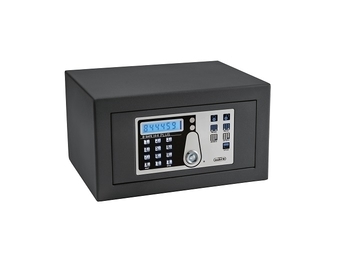 In addition, Sentinel II RFID allows your users to securely operate the safe with the same RFID room key, thus becoming the perfect in-room safe for the quality and design conscious proprietary, without compromising your users ́ security needs. Laid-back and buzzing with life - hostels are the first choice among young and alternative travelers worldwide. Even when travelling lightly, a camera, smartphone or tablets are among the essentials in their luggage. So far, security usually meant padlocking expensive gear in lockers or even separate compartments for their bags. Elsafe España is now offering a much more reliable solution at hotel safe standard, that requires no investment by the Hostels. 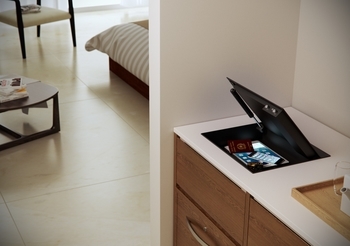 TOC Hostels & Suites had their dormitories equipped with ELITE Tablet Towers. At about the size of a small locker, the towers contain individual tablet-sized safes that are tailored to the needs of the Hostel. All units are centrally managed through the RentYourSafe online system. Guests and staff alike benefit from fast, secure and key-free handling. 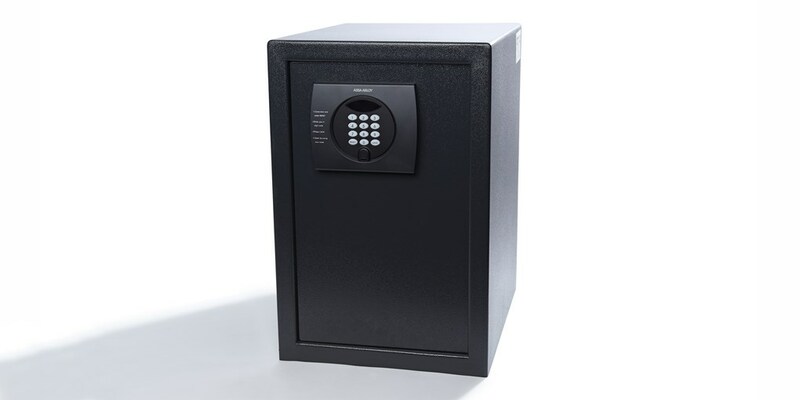 Safes are rented out for a low fee not to overcharge tight budgets. The towers are compact enough to fit into any dormitory and can easily be integrated into existing rooms.